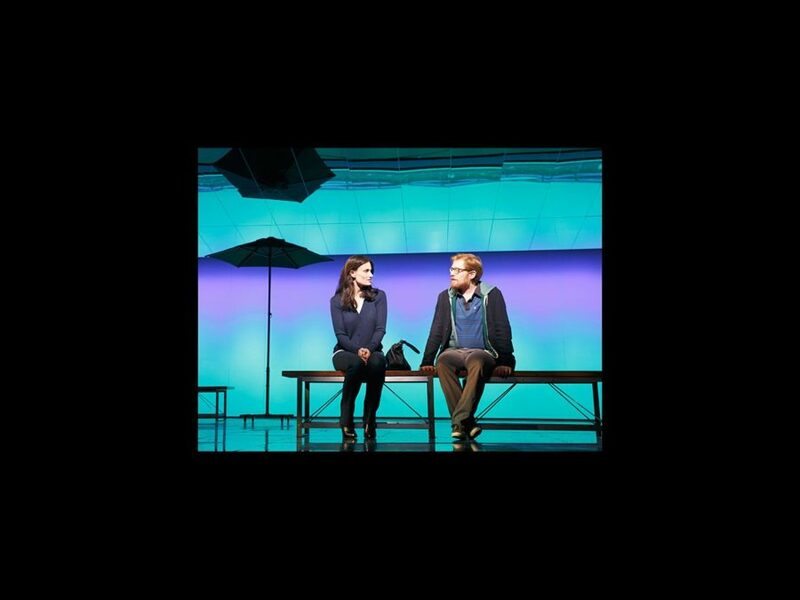 You've got no time for playing nice, you've got a date with the stars of If/Then! Broadway Balances America, the special six-part series airing on The Balancing Act on Lifetime Television, continues its second season on October 20 (the episode will re-air on October 27) with an exclusive look at the national tour of If/Then. Oh, and by the way, one lucky viewer will win the chance to see the show in Tempe, Arizona! In this episode, correspondent Amber Milt meets with the show's creative team as they talk about the inspiration behind the ambitious production and the process of building an original musical. We’ll hear from the Pulitzer Prize and Tony Award-winning team of Tom Kitt (music) and Brian Yorkey (book and lyrics), and one of the show's producers Patrick Catullo. Viewers will go inside rehearsals for the tour and hear from original Broadway cast members, including Tony winner LaChanze, Anthony Rapp and James Snyder. We’ll also meet audience members who talk about what the show means to them and how we can all relate to the themes within this thought-provoking musical. And now for the best part: An exciting interactive component within the segment will give viewers the opportunity to share their own personal If/Then stories by visiting www.IfThenStories.com and entering for a chance to win a trip for two to Tempe, Arizona, to see Idina Menzel in the musical. The winner will receive roundtrip airfare for two, two tickets to the opening night performance, dinner and a car service the night of the performance and hotel accommodations the night of the show. If/Then is a contemporary new musical that follows two distinct story lines in the life of Elizabeth, a city planner who moves back to New York to restart her life in this city of infinite possibilities. When her carefully designed plans collide with the whims of fate, Elizabeth’s life splits into two parallel paths. If/Then follows both stories simultaneously as this modern woman faces the intersection of choice and chance.